growth, anti-aging, and aid with physical, emotional, or cognitive issues. 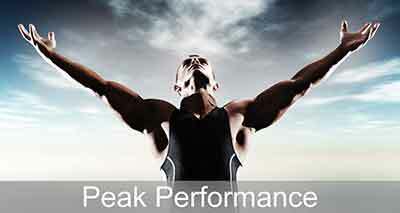 Neuroptimal® is used by athletes, executives, business people, students, and performers to achieve peak performance. It is an ideal program for anyone who wants to excel in any area of life. Neurofeedback helps to create optimal performance without causing strain or stress. Peak performance is achieved by exercising the brain and stimulating the potential that lies within it. Neurofeedback can help people of all ages increase their ability to engage more effectively in their lives, at home, at work, or in the classroom. Clients find that both their focus and attention span improves dramatically in a very short period of time. For instance, students find that their brain is able to learn more and then retain more of what they learn. Teachers and parents often see changes in behavior and performance after only a few sessions. IQ can even be increased. Neuroptimal® trains the brain and the central nervous system to be more flexible and resilient. Clients are better able to deal with everyday stresses and feel more fulfilled in their lives. When combined with working with a life coach or counselor, the Neuroptimal® process enables effortless, rapid change. Brain training also supports and enhances positive dietary shifts, staying intellectually engaged, and exercising regularly which further supports anti-aging. From toddlers to seniors, Neuoptimal® helps to address issues experienced in any area of life. Many people have successfully used it to stay more focused, elevate mood, and feel less stress. It doesn’t matter whether the problem is physical, mental or emotional because we have only one central nervous system that affects all aspects of our functioning. Brain training helps to break bad habits, overcome fears, and make transformation easier. The brain is the center of our central nervous system; it is a sophisticated command and control center that is responsible for controlling all the other systems in your body. It receives and processes information from your body and the environment, processes and stores information, and formulates appropriate responses. This is all made possible by a vast and wonderful neural network. It is estimated that the human brain has 15-33 billion neurons and each neuron may have as many as 10,000 synaptic connections. 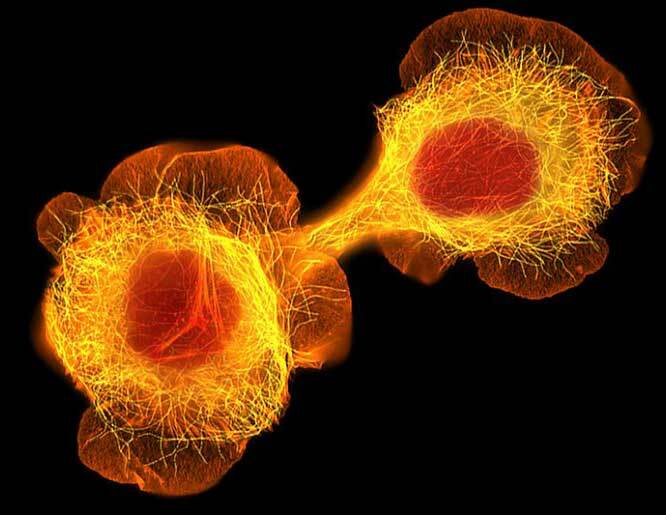 Neurons communicate with each other using electrical signals. The electrical signals emanating from the brain are measured as brainwaves. The frequencies of the brainwaves tell us a lot about the state of the brain at a given moment. Neuroptimal® works by training the brain to be more flexible and resilient. This is done by stimulating and interacting with the brain and offering the brain the information it needs to function gracefully. All of the things you do everyday require different states of consciousness and awareness; from being alert and focused all the way to being asleep. progress. The trainer will be an important resource in exploring the effectiveness of your training sessions. Others can often see your progress before you can. In the end, it is always how you are doing in your life that counts. The trainer will ask you to fill a very brief questionnaire describing how you are feeling and what you may have noticed in between the sessions. You will then sit in a comfortable chair while your trainer places a tiny sensor on each side of your head and three ear clips on your ears. The tiny sensors on each side of your head are attached with water-soluble paste, which will help pick up the delicate electrical activity of your brain. Much like an EKG or ECG, the Neuroptimal® system is simply reading this signal. The paste is easily removed after the session. Your trainer will then give you a headset and offer you a blanket while you listen to music and watch visuals on a monitor, if you so choose. Your trainer will record a baseline (called a pre-image) and then your session will commence. There will be very brief pauses in the sound and image. The pauses are often so quick you may not consciously notice them. The pauses correspond to moments of less fluid brain activity, and serve as cues to your brain. Your brain uses the mathematics behind these cues to distinguish between efficient and less effective brain activity. The very precise timing of these pauses gives the brain the information it needs to reorganize and function more optimally. Clients tend to find these sessions very relaxing. The training time is 33.30 minutes. After the session has been completed, the trainer will take another recording and compare it to your baseline. While the sensors are being removed you will be given a form to fill out about how you experienced your session. Both the baseline image and the post-image will be saved in your file. If you would like to review the pre and post brain images, your experiences or your progress, you may set up an appointment with our coach/counselor. Meeting with the coach/counselor must be done every ten sessions, or more frequently if desired. Some people can expect to notice some changes by ten sessions, while others achieve their goals by 20 to 40 plus sessions. Even before ten sessions, many clients report feeling better rested, having an improved outlook, and being able to engage more effectively with colleagues or loved ones, and so forth. These changes may or may not be related to the goals you came in with, but it signifies that change is happening. These types of changes are all evidence that your central nervous system is responding to the information it is receiving. The more training you do, the more ingrained it will be. It is much like learning a language or a physical skill like skiing. The more sessions you have, the stronger the skill. You can stop training whenever you feel ready and simply return for booster sessions, if you want a tune-up. 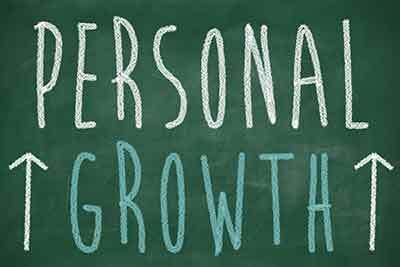 Some clients continue training on a monthly or bi-monthly basis to great effect. There are Olympic athletes who are using Neuroptimal® to enhance their training and sport, as well as business people who get regular tune-ups to keep stress down and optimal performance up. The frequency of tune-ups depends upon how stressful of a life you are living. Do the Effects of Neurofeedback Training Last? session or two to recover your optimal flow and functioning. The Neuroptimal system is a non-linear dynamical system (“dynamic neurofeedback”).The brain itself is a non-linear system, so by interacting with the brain in a non-linear dynamical way, Neuroptimal is talking to the brain in its own language. This system offers the brain the information it needs to organize and re-organize itself. Presented with the right information, the brain can become more flexible and resilient, which results in a better quality of life for the client. This system is incredibly simple; it provides the information the brain needs moment by moment while the difficulty level automatically adjusts itself each microsecond, based on the brain’s behavior. The system works with the brain’s instabilities, rather than with the amplitudes and other linear measures used by older-style neurofeedback systems. As the brain starts to move into instability in a particular frequency range (called “targets”), the sound pauses very briefly and the image changes. Over time, the brain instabilities drop away, resulting in increased flexibility and resilience. Because the system works with instabilities it makes training even more effective. the system provides information to the brain about the brain’s own activity. The brain then does its own reorganizing. While it is true you can sometimes get dramatic effects by pushing the brain in a particular way as other systems do, it is also very possible that you can push the brain into a de-stabilized state, resulting in unpleasant side effects. This system is designed differently. Simply giving the brain information rather than telling it what to do results in powerful shifts in a positive direction for the client, gently and easily. The system is effortless for the client. Clients can listen to music, watch a fractal video image, or even close their eyes and “zone out”. The music accurately and precisely captures the “event-structure” of our brainwaves. This is state of the art. No other brain training system has these capabilities, even if they claim to be “non-linear”. Neuroptimal® is a Dynamical Neurofeedback™ system, and as such very different from other systems. It is completely non-invasive and non-directive because it is based on both a very different understanding about how the brain works, as well as how it is best optimized. It is designed to work with the brain as an information-detection system. By simply giving the brain information about its own activity, and about what it has just done, this system helps the brain re-organize itself, thereby activating its own intrinsic healing wisdom. 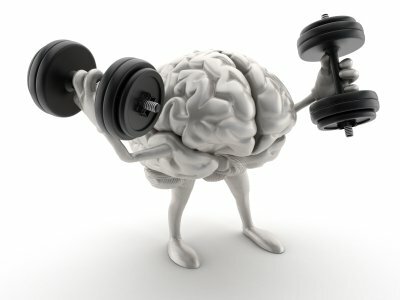 As a result of training the brain becomes more stable. As the brain’s flexibility and resilience improve, problems and issues begin to fade away. Additionally, this system provides information to the brain from a wide array of “targets” representing a vast array of frequencies, many of which were first described by Neuroptimal® and are unique to it. With many systems, the trainer has to choose one or two frequencies and hope they “get it right”. If they don’t get it right, there may be specific side effects associated with what they have done. Additionally, by having to choose between frequencies, what is chosen for one issue may be contra-indicated for another issue. However, with the Neuroptimal® system there is no concern with this, and you also receive the benefits of training across the range of all available frequencies. Whether you are seeking training because of an issue you want to address, or whether you want to excel in a particular endeavor, you can have it all with each and every session. The system does this by using sixteen different targets, each of these targets working dynamically with where the central nervous system is at that moment in time. The result of this comprehensive array of dynamical targeting is that you enjoy comprehensive growth and change, across the array of possibilities. So although someone may do training because they want to feel more alert, or be able to focus better or to feel less troubled in their daily life, they also experience sleeping better and feel lighter and brighter in their life. They are able to cope more calmly with problems and are much more aware when a situation is not positive for them. So, if someone wants to better deal with anxiety, a side benefit might be that his or her golf game improves significantly. One of the additional benefits of working with multiple frequencies the way this system does is that you don’t get side effects, as you do when working with only one or two frequencies. Each frequency has a particular effect or state it is associated with. So if you work with one that quiets the brain or one that activates the brain for example, you run the danger of becoming over quieted or over-activated. A practitioner who uses one of these limited approaches needs to watch very carefully for signs of having pushed the training too far in one direction. In fact, the client reporting that they are not feeling good is the information the trainer will use to adjust what they are doing! This is very slow feedback as far as this system is concerned. So you get pushed in one direction and then another until the practitioner has decided what is the “right frequency” (this can take weeks to find out) and then that is what your brain is trained with. However, with the Neuroptimal® system you are flowing through many different frequencies in rapid succession, each frequency bandwidth balancing the others. You cannot go too far in any one direction, because you are getting everything moment by moment. You end up alert and relaxed, feeling alive and quiet at the same time, and in perfect balance. While there are many benefits to this particular system, there is probably none as great as the fact that this system never tells the brain what to do. This means it does not “push” the brain in any direction, as other systems do. Other systems categorize the frequencies into ones you need “more of” and ones you need “less of’. It is not effective, nor is it safe to use these older systems that augment and suppress. Systems that aggressively push in a narrow range of bandwidths that do not balance each other cause negative side effects. The Neuroptimal® system does not do this. Rather, it simply gives the brain information about what it is doing and the brain decides for itself whether an increase or reduction is warranted. This is what makes the Neuroptimal® system not only unmatched in its power, but also its safety.